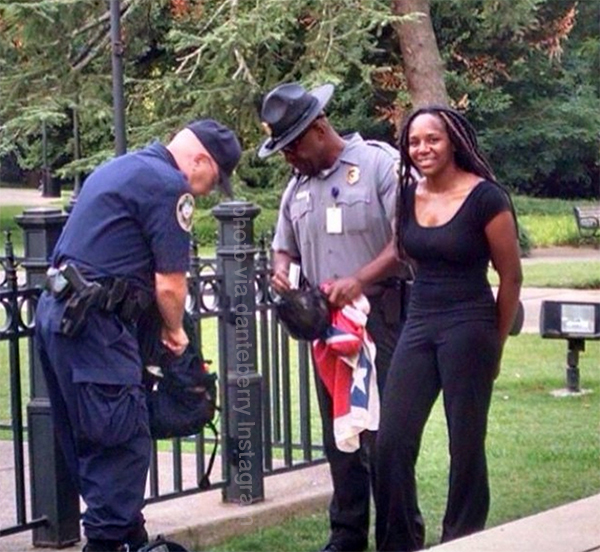 Bree Newsome being arrested after she peacefully removed the Confederate flag from its place in front of the South Carolina State House. When I sat down I wanted to write a post about how the non-english speakers, the people of color, the Muslims, the LGBTQ+, the marginalized groups in the United States, whom the Conservative Right likes to tote as “the downfall of America,” are the Truest Americans, it suddenly felt very empty. It is obvious to me: groups of citizens simply trying to be respected for and in-spite of their color, creed, or culture fundamentally represent the values of This Great Nation. An angry fire deep in my belly ignites when people with hate and disrespect growing like a weed in their mouth claim to be the truest representation of American values. There is no more space for mincing words: these people are ignorant of what it means to be American and they are dangerous. They are illogical. I will not respect their opinions because their opinions are harmful. Their opinions are harmful to my country. 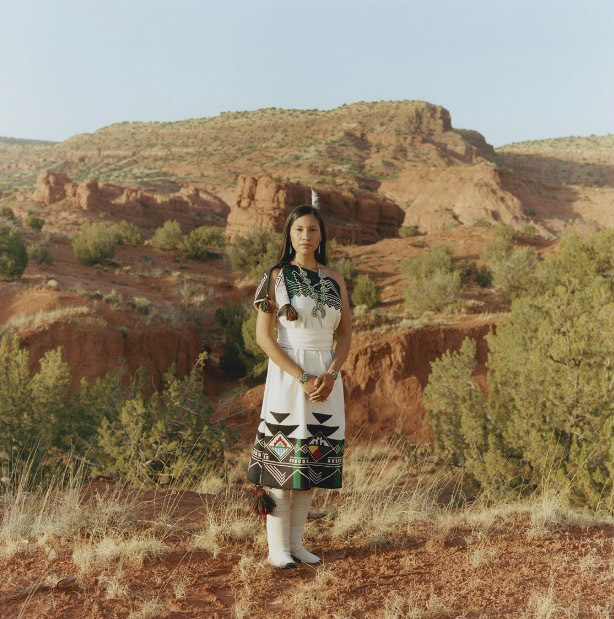 Juanita Toledo on her reservation in New Mexico from the photographic series “Red Road” by Carlotta Cardana and writer Danielle SeeWalker. I’m incredibly romantic about the United States: to me, our existence is a paradox which speaks to the hopes of those huddled masses who seek our shores for any reason. I, as a member of the privileged and educated liberal elite, like to look at our history and ponder how anyone with even a remote knowledge of our country’s genesis could possibly think a small group of Christian-whites with hate on the brain could possibly represent our Nation’s ideals. Then I remember the systematic removal of the First Americans from their lands and my Little Glass House on the Prairie comes crashing down around me. It is hard – impossible sometimes – to reconcile these two United States of Americas. From the Charlotte Observer, mourners gathering at South Carolina State senator and Rev. Clementa Pinckney’s funeral. As I am enamored with history and believe in my soul the United States constitutional ideals are true and right, I will never stop hoping that my country’s citizens will align themselves with those ideals. For me to believe in this dream, and to pick up my molten glass for a new house, I look to The Truest Americans. Those individuals who have the right to be angry and have been given countless opportunities to hate, yet, continue to show love and respect to those who would see them removed from our country, gunned down in the street. 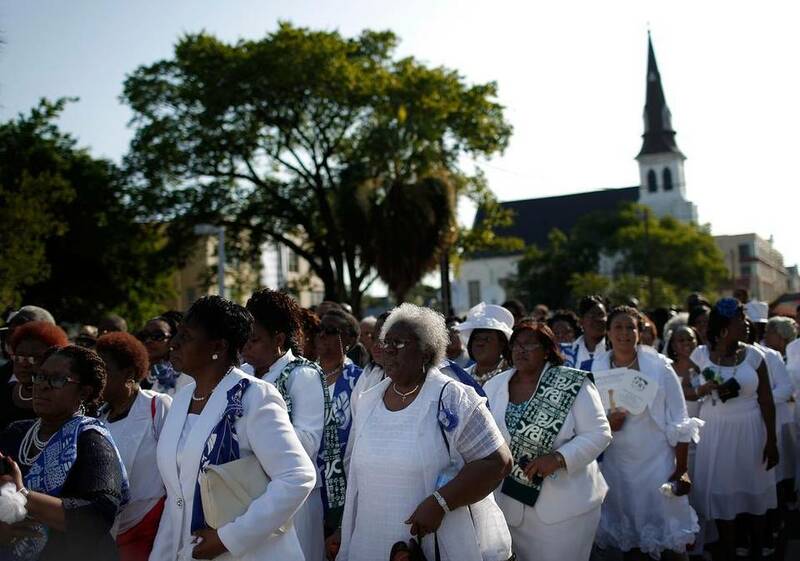 The Truest Americans are those like the families of the murdered members of Emanuel African Methodist Episcopal Church in Charleston, who – while mourning – call for love, peace, and justice, instead of retaliation. Very well said. How easily those “certain groups” forget our history as a nation of immigrants, ignore the inalienable rights of the Declaration of Independence and seem to remember only little bits and pieces of the Constitution at their convenience.